Just as a diamond has many facets, my metal work in nature-inspired sculpture and jewelry has many dimensions. I was introduced to art and nature at a young age and these two passions continue to inspire my organic and earthy designs. After college I served on the board of The Colorado Metalsmithing Association (COMA) where I learned the anticlastic raising metal technique. This process involves hammering different metal, over and over on an antler like form. By immersing myself in this ancient technique, I combine my love for nature and metalsmithing into cohesive nature inspired metal forms. The anticlastic raising techniques fundamentals are based on hyperbolic parabolas and double helix which are abundant in nature, from flowers to smoke to DNA. 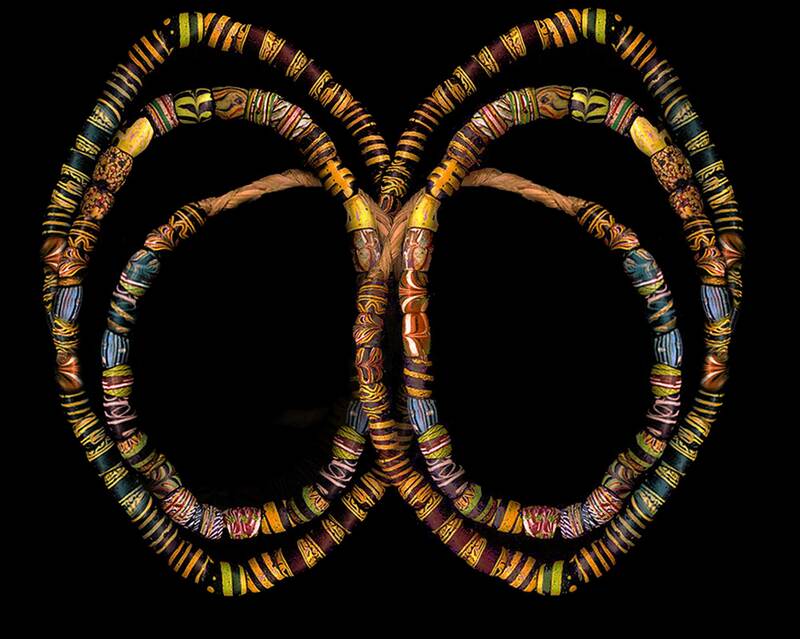 The possibilities found in an open field of flowers, or a shadowy path, influence my own styles of jewelry and sculptures. My work has taken me beyond the basics to incorporate new techniques in my work. Weather casting, stone setting or lapidary, all are design aspects that can enhance metalsmithing and bring my imagination to life. In every art show, to custom work in exhibits, I communicate love of nature through metal. I continue to learn and be inspired through lots of teaching, my travels, lectures, and residencies. This is a great class to invigorate our creative energies. Jewelry designers, mixed media artists, collage artists, and crafters alike will find a useful way to incorporate these beauties into their art. 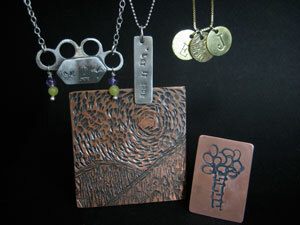 This (3 hour) workshop teaches basic metal working skills with an emphasis on stamping metals and creating texture. Each student will be able to design and finish 3-4 copper pendants using a variety of stamping techniques and metal finishes. Choosing from a selection of stamps and other tools you will create a variety of surface textures and images on the copper. You will also sample several surface finishes that include preserving copper, as well as creating unusual patinas. At the conclusion of the class Patti will show you how to turn the copper stamped pendants into an original, one of a kind piece of designer jewelry.